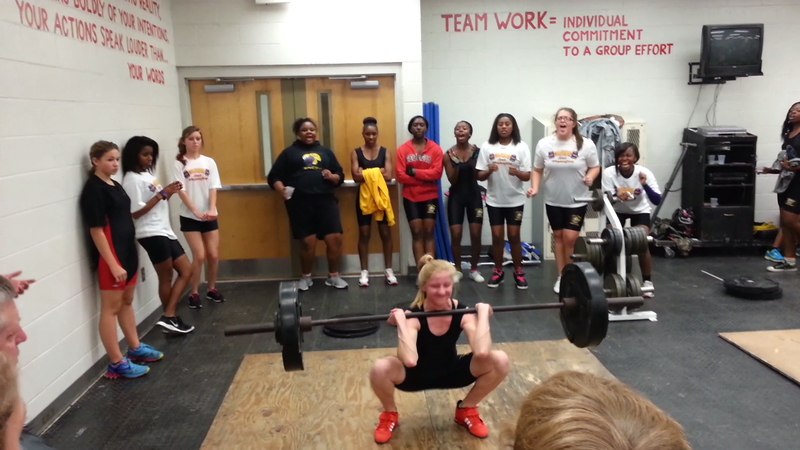 Kallie had her 4th weighlifting meet of the year yesterday. She opened with 120 and 135. She performed both of those very nicely. On her 3rd lift she loaded the bar with 150. She had a very low catch and rode the bar down into a full front squat position. After getting up to parallel she dumped the bar for a missed lift. She gave a great effort but came up a little short. She will get it next time. Here is a photo of her in the bottom position with her max weight ever. Her form held up strong. That is how its done.